Rachel Valdés Camejograduated in 2010 from the San Alejandro School of Fine Arts in Havana. Her solo exhibitions include Realities at La Cabaña Fortress in Havana, during the 12th Havana Biennial, 2015; La verdad informativa (The Informative Truth) and Sweet Life, both at La Casona Gallery in Havana, 2011. In 2009 she painted the mural Angel at the University of Havana. She was an artist-in-residence at the Vermont Studio Center in Johnson, Vermont. 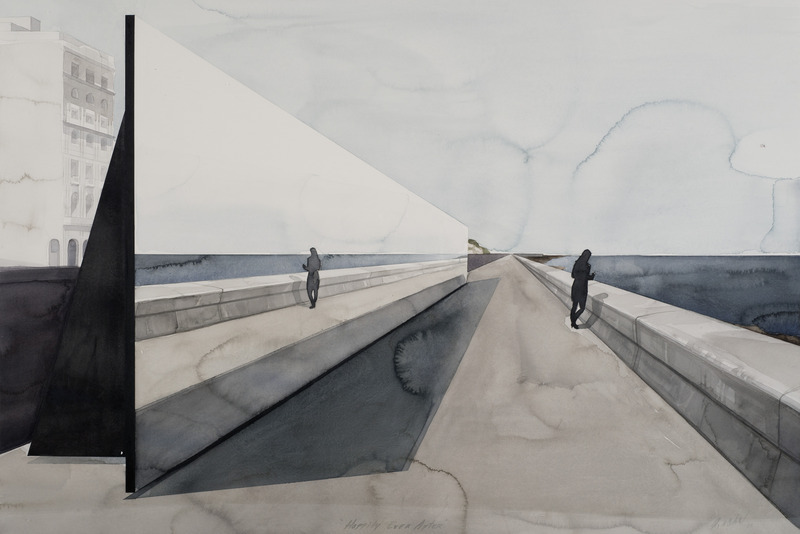 Her works have been included in several group exhibitions such as Detrás del Muro II (Behind the Wall II) alongside the Havana Malecón, during the 12th Havana Biennial, 2012; 30 Aniversario de la Bienal de La Habana (30th Anniversary of the Havana Biennial) at Plaza Vieja, Havana, 2014; Detrás de; Muro (Behind the Wall), during the 11th Havana Biennial, 2012; and Ellas si hablan (They Certainly Speak) at Villa Manuela Gallery in Havana, 2012. Her works are part of the collections of the CaixaForum in Barcelona, Spain; the Rockefeller Brothers Fund in New York, NY; the Francisco Godia Foundation in Barcelona, Spain; and several private collections in Cuba, the United States, Spain and Switzerland. Happily Ever After, 2012. Watercolor on paper. 26 1/4 x 37 5/8 in.